Delighted Momma: Have you heard of Sevenly? Have you heard of Sevenly? Oh I am so happy that today is Friday! This weekend one of my good friends is getting married and I am so excited to get all dressed up and let loose a little with my rusty dancing shoes...okay I only have like one dance move but it will still be fun! I am taking a little break from my normal Friday post to share with you a truly amazing organization that I felt more people needed to know about. Have you heard of Sevenly yet? Their mission is to bring awareness about charities around the world and help make the world a better place by contributing to one non profit charity at a time. What is better than that?! Each week they partner with a nonprofit organization and create unique and one of a kind t-shirts (super comfy) and products that they sell exclusively on their site. Each time you purchase something they give that weeks nonprofit organization $7. So that means if Sevenly sold 1,000 products they would donate $7,000. Pretty amazing. Some of the charities they have partnered with are 1Love. A charity that helps place abandoned babies and toddlers in a nursery where they will receive love, protection, and the essentials they need to survive. This one really tug at my heart. They have also partnered with charities that bring awareness and support to woman's breast cancer, autism, depression, international thirst relief, helping hungry families and so so much more. This week any purchase will help provide a life saving surgery for a disfigured child in Ethiopia. So if you are wanting to make a positive impact on someones life I really encourage you to take a few moments and check out Sevenly for yourself. Thanks for sharing Lindsay! Sounds like a wonderful organization. Have a wonderful time this weekend. I totally just bought a blue racerback tank. Such a great cause and concept. Thanks for the introduction, Lindsay! Hi Lindsey! I couldn't help but comment on this one! Sevenly helped the nonprofit that I work for - Mercy Ships - a few months ago. They've actually done two t-shirts for us. We've LOVED partnering with them. They've been fabulous and helped us raise lots of money. In short, we have the world's largest non-governmental hospital ship that serves in West Africa and we give free medical care/surgeries to the world's poorest. Love that tank! 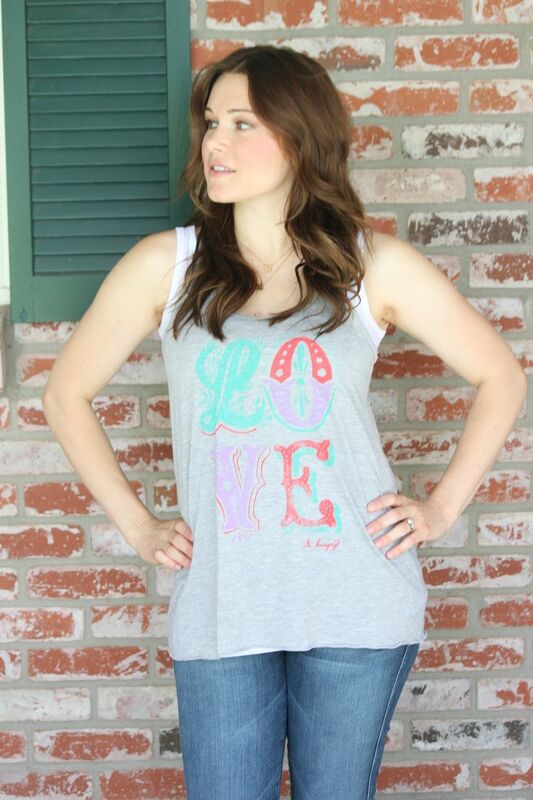 Love Sevenly! You look gorgeous friend!!! So happy you're spreading the word about them. Love what they do, and have a few shirts myself! I hope you have a blast at the wedding this weekend and try out some new dance moves! I've never heard of Sevenly, but I can't wait to check it out now. It sounds like an amazing organization. I just came across your blog through pinterest and I have read quite a few posts this afternoon and can SO relate to your situation with 2 young kids and the pregnancy before etc!!! My oldest just turned 3 and my youngest 1 (1 year and 9 months apart) so they are about the same difference as your princes! It's hard! But rest asure... it does get easier, in a couple of months! That easy that we are actually thinking about a third!!! I will keep following your blog! Such a cool idea. And YOU look beautiful! Hope the wedding was fantastic! Stop leaving spam. It will be deleted right away. What's up colleagues, its great post on the topic of teachingand entirely explained, keep it up all the time.